There are specific expectations for apologies in the Japanese culture. Honda (HMC), Japan's second-largest automaker, announced today that it will recall an additional 437,763 vehicles around the world to repair defective air bags that can deploy with too much pressure. While Honda's safety issues are far from good news for the manufacturer, they pale in scope to those faced by Toyota (TM). Just how serious is the Toyota recall? According to many in the Japanese media, the company's CEO Akio Toyoda didn't take it seriously enough initially. They lit into him after his apologetic bow only reached a dip of 40 degrees at a press conference last week. Yesterday, Toyoda executed a 60-degree bow, which was seen as more contrite, but not close enough to the expected 90 degrees appropriate in a situation such as this. 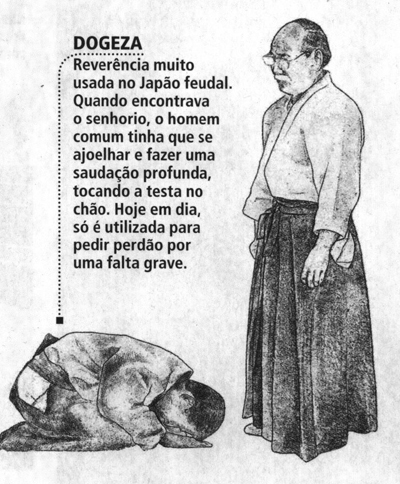 "Japanese bows can be formally categorized as eshaku, a simple 15-degree bend or nod of the head; keirei, a 30-degree tilt to show respect; saikeirei, a full 45- to 90-degree bow intended to show the deepest veneration or humility; and dogeza, a fetal prostration expressing utter subjection or contrition. Toyoda's bow last week fit best into the keirei category, but some observers felt he should have committed to a saikeirei instead." However, Toyoda seems to be personally taking the safety issues quite seriously. After a brief interview with Japanese network NHK in the lobby of a Davos hotel recently, Akio Toyoda was seen pulling away in a black Audi. Brand loyalty tends to run deep among today's corporate leaders. Apple (AAPL) products are reportedly banned from Microsoft (MSFT) founder Bill Gates's home and Palm (PALM) CEO Jon Rubinstein claims to have never so much as held an iPhone. Toyota shares have lost 17% of their value since January 21, when the recall was announced. As Toyota faces the biggest crisis in its history, Toyoda's methods of dealing with the company's failure are facing scrutiny. Was he earnest in his apology? Did he act swiftly enough? Is the "sorry culture" in Japan too different for Americans to accept? John Chen, CEO of software maker Sybase (SY), says, "In the venture world, especially in Silicon Valley, we look at failure as an opportunity to learn, to get experience. The Japanese look at it as literally failing." As Slate's Palmer pointed out, many disgraced leaders in that country, such as Agriculture Minister Matsuoka Toshikatsu, have committed suicide after major failures. Japan has long been known as a "nation of suicide," noted sociologist Kayoko Ueno of the University of Tokushima. "Suicide is not considered a sin," said sociologist Masahiro Yamada of Chuo University in Tokyo. "We've made it a bit of a virtue." Roughly a dozen Japanese business executives have killed themselves over business setbacks since 1998. "It's not at all uncommon for executives on the hot seat to resign and then commit suicide," said Roland Kelts, a professor at the University of Tokyo and an expert on Japanese culture. There's a lot at stake in the Toyota debacle, but certainly no one is advocating a "virtuous" suicide by Toyoda or any other executive. Jeff Kingston, director of Asian Studies at Temple University Japan, wrote, "The shame and embarrassment of owning up to product defects in a nation obsessed with craftsmanship and quality raises the bar on disclosure and assuming responsibility. And a high-status company like Toyota has much to lose since its corporate face is at stake." Let's hope Toyota gets its house in order and its vehicles road-worthy before further setbacks result in continued loss of life. Enough deaths have occurred due to unintended acceleration in Toyota vehicles. A death due to embarrassment over unintended acceleration would be a real tragedy.